Can't smile on the affected side, thus patient will have the "wonky smile"
If you have these symptoms and with rashes on ears, maybe you have the similar condition called "Ramsay Hunt Syndrome". 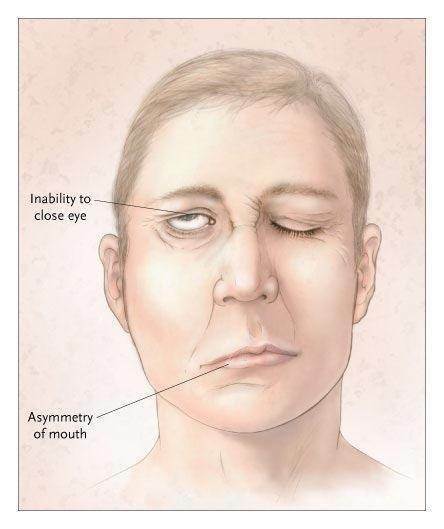 Bell's Palsy is devastating not only on physical but also the emotional condition of the patient. Anyone can have it even infants, kids, teens and adult. Even Hollywood celebrities had been diagnosed with BP such as George Clooney, Sylvester Stallone, Pierce Brosnan and Angelina Jolie.